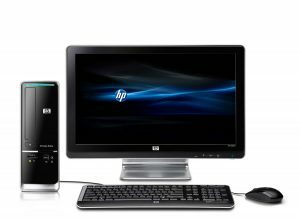 We offer home and business computer repair and services for all desktop computer brands and models. We troubleshoot all kind of hardware, wireless, internet and software issues. We offer Data Recovery from any Hard Drives, USB Flash Drives or Memory Cards. Is Your Internet Or Email Connection Down Or Slow? Are you having problems with the internet or no emails arriving? You start the browser and nothing appears on the screen? Maybe that there is a problem with your connection, involving either software, hardware or combination of both. If that’s the case you can rely on Electronic Partners computer repair to have it diagnosed and repaired to have you back online in no time! Hardware Upgrades And Computer Repairs? – if a computer screen has cracked, Electronic Partners computer repair uk can fix it! – if your monitor is not displaying anything Electronic Partners computer repair uk can fix it! – if your hard drive is making noises or you are seeing a no signal on your screen Electronic Partners computer repair uk can fix it! In fact, if there is anything you need in hardware or software please give us a call, at the very least we can guide on what or not to buy, even if you don’t buy from us! These days, with more and more families having tablets, laptops and pc are there is a need to share information, wired or wireless. We can set-up your wired/wireless network in your home or company and make it very easy for you to have internet everywhere around the house. Is your computer running slower than usual or pop-ups with advertising appearing out of nowhere? You may be a victim of malware, spyware and or viruses which can cause lots of problems to your computer. We can make sure that this does not happen, will give you a professional expert solution “EP Computer Repair UK” and repair this very common problem. Are You Seeing Strange Messages Or Blue Screen? Does your computer freeze in the middle of typing an email or letter? Does it produce some cryptic message on the screen, indicating an error has taken place? Do you get a black or blue screen when trying to start up your computer? Chances are you have either a hardware or software issue causing this. Electronic Partners computer repair UK can fix this and bring it back to life sooner than you think! We are highly skilled at servicing, diagnosing and repairing every brand of computer. From a simple screen replacement over hinge repairs to major motherboard repairs, we do it all! Did You Lost Your Important Data? We do data recovery for all forms of storage media such as internal or external hard disk drives, USB flash drives and Memory Cards. Hard Drive Data Recovery which involves removing the hard drive from a computer and having it examined by data recovery experts, who will recommend the best strategy to recover the missing data! Expert non-warranty Computer services UK wide. …specialised in Computers made by Sony Vaio … Almost all of our Sony Vaio SVT112A2WM Unknown Repair bridlington are processed within 3-5 working days while also offering express repairs. Expert non-warranty Computer services UK wide. …specialised in Computers made by garmin 1030 … Almost all of our Edge 1030 Unknown Repair Shalstone are processed within 3-5 working days while also offering express repairs.